Passion and Purpose are a great combination and I can report that a recent rugby fundraiser was a resounding success thanks to a good dose of both. For the 250 NZ & NY hearts who came to the event at 375 Hudson Street, New York, thanks for your generosity of sharing and friendship. The event was initiated by Auckland University of Technology (AUT) and supported by New Zealand Trade & Enterprise and Saatchi & Saatchi, and was part of New Zealand’s 2011 Rugby World Cup international build-up which is happening around the world. The rugby movement is growing in America. This year 200,000 young people have played rugby for the first time for a season. With the help of the $23,000 raised by the event, two rugby players from New York City public schools, where rugby has been introduced, will be coming to New Zealand to study, play rugby, and get immersed in the great New Zealand culture. The sum will also be used to fund coach/player exchanges between the US and New Zealand. AUT Chancellor and former New Zealand Governor-General Sir Paul Reeves led the powhiri, (a formal welcoming ceremony), gave an intense Maori oration which had New York jaws dropping because of its fluency and purpose, and then welcomed everyone with a joke about when he last lived in Chelsea. He is a singularly impressive New Zealander. Between NZ wine, beer and food there were auctions, speeches and a panel I led with New Zealand greats Michael Jones, Frano Botica, and Tawera Nikau, USA Rugby development champion Mark Griffin and sports marketer supremo Andrew Gould from NYC & Company. Rugby players have a natural, exuberant humor and a gift for storytelling, and the panel and the audience rocked together with laughter. I was then surprised when Sir Paul on behalf of AUT made me the amazing honor of awarding me a mere, which is a flat stone weapon used by Maori warriors. Made from pounamu, New Zealand jade, the mere is a symbol of chieftainship. Topping this off, Maori present further honored me with a Haka, the iconic battle dance practiced by the All Blacks, capable (as those who face it have frequently discovered) of winning a rugby game before kick off. Thanks very much to all involved. I’m fond of saying there’s no point being brilliant at the wrong thing (thanks Edward de Bono). Which is why any news of a boom in new ideas might be taken with a grain of salt. Quantity is not quality, nor is every idea a winner. But quantity does increase the likelihood of stumbling on that one crazy, simple idea that changes everything. And diversity across the group of crazies asking the questions makes it just that much more likely. That’s why the latest UNESCO report on the Current Status of Science Around the World is exciting. If you can make it past the uninspiring title, the topline outtake is that the power base of world science is making moves. Where once most of the world’s spending, patenting and publishing of scientific work was done by the EU, Japan and the US, today more and more is being done by emerging players like China, India, Brazil and the Republic of Korea. In 1990 the established doyens of science and technology were responsible for more than 95% of R&D globally. By 2007 it had dropped to 76%. The bottom line is more insights and ideas are being tested by more people in more places everywhere. The challenge will be for the new players in science to remain in a fluid state of emergency, and avoid the inertia that most institutions fall prey too, a state that kills the best ideas at birth. The good news is the creative revolution has gained momentum to a point where anyone who stagnates will be replaced by someone with more edge. In the meantime, look out for the next big thing to come from somewhere new. To learn today there is now no hope the 29 men will be brought out alive from the Pike River coal mine in New Zealand is saddening news. My heartfelt condolences to those who are now grieving this great loss of husbands, fathers, brothers, sons and friends. John Key expressed the feelings of the country when he said New Zealand was a "nation in mourning. New Zealand is a country where we are our brother's keeper, so to lose this many brothers at once strikes an agonising blow. The 29 men whose names and faces we have all come to know will never walk amongst us again." Sometimes the best way to cap off an intense week is to go on television and talk about it! 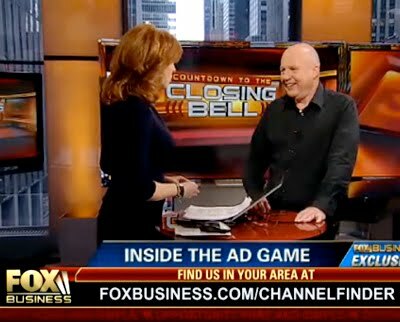 So it was with Fox Business last Friday when I was the guest on the Closing Bell with anchor Liz Claman. The studio is in the heart of Rupert Murdoch/Roger Aisles territory in the News Corporation building on 6th and 47th Sts, and the program – as with all of Fox – is as fast-paced and focused on the moment as the markets are themselves. And in the middle of this we managed to stop time with an emotional charge that came from a simple television ad about the lifetime of love between a son and his father. Liz had asked what my favorite ad of all time is. Malcolm Gladwell asked me recently what my best “tearjerker” ad of all time is. To both these questions I gave no hesitation in naming the 1997 Telecom New Zealand “Father & Son” from Saatchi & Saatchi (New Zealand) featuring the music of Cat Stevens – not because it is a tearjerker but because it inspires a genuine emotion response. I play it all over the world because it is a universal story with universal music. Watch the interview and savor the moment. Liz cries. I spent the weekend listening to the greatest album of 2010. Well, it was released last week, but strictly speaking it’s 30 years old. I got the deluxe version of Bruce Springsteen’s The Promise – The Darkness on the Edge of Town Story. It comes packaged in an amazing exercise book with Bruce’s handwritten lyrics and comprises the re-mastered Darkness album, The Promise and a couple of live performance DVD’s from the 70’s, and the 2009 Asbury Park, a Darkness on the Edge of Town live concert. Yes, it’s label driven; yes, it’s expensive; who cares – it’s The Boss at his best. Darkness was Bruce’s “samurai” record stripped to the bone, confrontational and highly personal. The Promise is like revisiting old friends, reliving the past and making up some stuff that didn’t happen but should have happened. These songs haven’t been put together as a story before and they are amazing. Big melodies, big choruses, big vocals, and big lyrics. I’m exactly the same age as Bruce although he’s wearing a little better. It took me back to my mid 20’s and left me feeling totally stoked. Buy it today. I’ve been talking lately about the Age of Now. We’re living in a time of electronic instant everything, constant updates, limitless choices and channels. The study showed that daydreaming takes away our happiness. People are more likely to be joyful when doing things that involve them in the moment, whether it’s having a conversation, exercising or making love. It’s a surprisingly obvious outcome in these uncertain economic times, where dwelling on the past or thinking about the future can be huge sources of anxiety. Satisfaction, pleasure, fun, entertainment, connection and, most importantly, love are things that take us into a fuller moment. For enterprise of all kinds, the inquiry goes: am I creating a magic moment? Am I turning down the volume on yesterday and tomorrow? Am I turning up people’s fun dial – today? Scientists who study consumer behavior sometimes discover things that marketing practitioners instinctively have known for years. Case in point: a new study from a group of brain scientists at the California Institute of Technology. According to American Scientist magazine, the scientists, headed by Antonio Rangel, wanted to find what affects people’s buying decisions more: a picture of a product, a description of it, or the real McCoy. It’s an interesting question. Today more and more shopping is done online, though contrary to belief we still mostly use the web just to research the trip. The world of virtual search is a wonder wall but you can’t touch reality until you buy. You have to wait until desire shows up on your doorstep. Rangel and company got together a group of 50 Cal Tech students. Each was either shown a picture of a snack, a written description of a snack, or the snack itself (the same experiment was run with Cal Tech key-chains, hats, and pens). Sure enough, the students who saw the real thing were willing to pay, on average, 50 percent more. A good indicator of how sensuality can rule our actions. Many marketers see a digital day when changing people’s minds in-store will be a lost cause. Not likely. No matter what intention we arrive in store with, when we cross the threshold from consumer to shopper, our emotional fires can be lit. I just came upon an eye-opening little volume called The Little Book of Shocking Global Facts. There’s nothing like a sobering fact to arrest our attention. 59.3% of the global population lives in just 10 countries: China, India, USA, Indonesia, Brazil, Pakistan, Bangladesh, Nigeria, Russia, and Japan; 40.7% lives in the remaining 219 countries. There are over 250,000 child soldiers involved in twenty conflicts zones around the world. 25% of greenhouse gases are caused by deforestation. Just one percent of China’s 561 million urban inhabitants breathe air considered to be safe by the World Health Organization. Between 1990 and 2007, negotiations led to the end of 59 conflicts around the world. In those 17 years, military victories resulted in the end of only 27 conflicts. This has become the first period in recorded history where more conflicts have ended in negotiation than in violence. What I like about this book is that it goes beyond just facts. It’s overflowing with incredibly powerful visuals. Every page is covered top to bottom in vivid images that add clarity and emotion to the truth and consequence being illustrated, whether in the form of pie charts, graphs, photos, drawings or graphic art. The information architecture works. Imagery adds emotional depth. If the information was presented on a white screen with black type (as with the above 5 facts), it would be too easy to disassociate. Visually communicated, the urgency hits home. The Participation Economy has been motoring along for some time. People no longer want to be passive recipients of product and services, they want to engage with them as experiences, put their personality and passions into things, and pass on the fun to friends and family. In their new book What’s Mine is Yours: The Rise of Collaborative Consumption, Rachel Botsman and Roo Rogers bring this idea to life. They focus specifically on the “explosion in sharing, bartering, lending, trading, renting, gifting, and swapping” that is going on in our economy. Their examples are spot on. Just look at the car sharing service Zipcar. Instead of each person buying a car, the service enables an entire community to share a fleet of autos, save a little money, and help the environment in the process. The same principle is at work with the bike sharing service Velib as well as the giants of the Participation Economy, Ebay and Craigslist. More than ever, consuming is a collaborative, participatory activity. As they rightly point out, these new ways of consuming not only reduce costs and environmental impact, but they are also a way for people to live more engaged, stimulating lives. 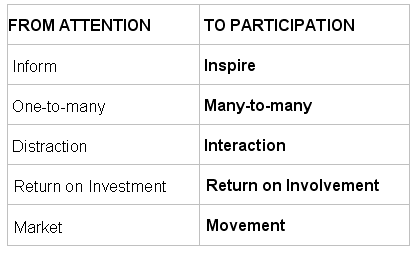 I’ve described the main undercurrent as a shift from an Attention Economy to a Participation Economy. A few weeks back, I posted a very cool video on the book Where Good Ideas Come From by Steven Johnson which consisted entirely of a disembodied hand drawing on a whiteboard. Aside from the visuals, the message about how truly creative ideas come about really hit home. My son Ben just sent me another video, and once again, it’s a whiteboard illustration. This time with some game-changing ideas about education. 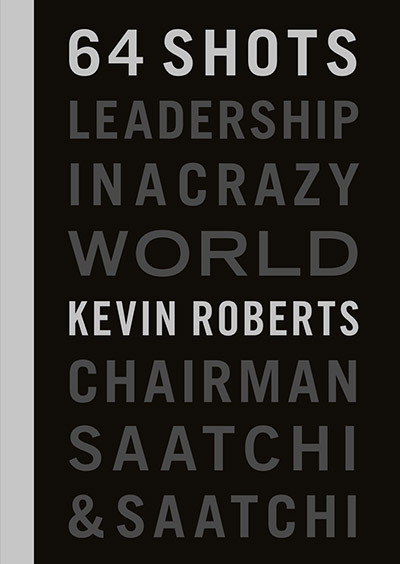 The audio is of a lecture given by Sir Ken Robinson, a celebrated British creativity guru who I’ve written about here before. 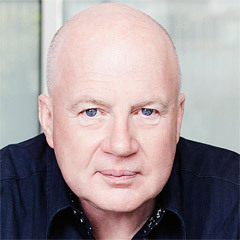 In fact, he was a client of our new Fallon, London CEO, Gail Gallie’s consultancy, GallieGodfrey. His mission: to stop schools from robbing kids of their innate creativity. Sir Ken is most mind-blowing when he poses questions that have been staring us in the face for years. Why do schools batch children together by age group? Why teach them all the same thing? Why drill into them the idea that there is only one correct answer to any question? It’s almost as if schools are designed to stunt creativity. Children are enormously good at what Edward de Bono called lateral thinking, and what Robinson calls divergent thinking: the ability to devise many answers to a single question. According to Sir Ken, 98% of kindergarten students score at genius levels in divergent thinking. But that number drops dramatically as they get older. How do we stop this? Instead of putting them in conformist environments that frustrate their creativity, Sir Ken tells us, we should be fostering independent thinking and experimentation in our schools. To confront the problems of the present and the future (the energy crisis, unemployment, war, poverty, just to name a few) we’ll need armies of creative geniuses in all sectors, from engineering to advertising, climate science to industrial design. The InspirUS program at Lancaster Royal Grammar School, which my old mate Stan Hilling and I support, is in this space. The program provides an environment where gifted students can exercise their creative impulses, and escape the conformity of a traditional classroom. Not quite the revolution that Sir Ken is calling for, but it’s one of many important steps towards unlocking the creativity of today’s young people, and preparing the mindset needed to make the world a better place for everyone. We just received a heart-warming nomination on Lovemarks.com from a regular contributor, Anita De Las Moses. In the past, Anita has written eloquently about recently deceased Lovemarks of hers like Tony Curtis and Patrick Swayze. This time, she’s written a powerful eulogy for Yiannis Dalianidis, a legendary Greek filmmaker who passed away on October 16th. He’s known as the “father of the Greek musical,” and is a true national treasure. This nomination was from the heart, which is why I wanted to share it with you. Yiannis Dalianidis who was eighty seven died last Saturday and will be laid to rest in the First National Cemetery in Athens. Dalianidis made incomparable contributions to the Greek cinema . He was a titan. Dalianidis discovered Zoe Laskari and Martha Karagianni. It is noteworthy that he worked in all cinematic genres. Dalianidis wrote screenplays; he directed; he created the musical on film that was wildly successful commercially. Yiannis had elegant and fine taste in all things he did. His films had exceptional choreography and protagonists whose beauty and acting suddenly was amazing and became the stuff of legends. Due to and because of his commercial success in Greece, Hollywood came knocking and Dalianidis was tempted . But his honour won him out in the end. He explained that he could not leave the elderly lady he called mother and had adopted him to go anywhere outside of Greece. Dalianidis might be called Greece's answer to Billy Wilder as he once made a comedy film called "Some Like it Cold." Wildly charismatic and charming so many thespians were and are beholden to him for discovering them. Yet he always made them feel that they were special without him. Dalianidis created films with happy endings always. Greece mourns the loss of yet another fantastic creative force with monumental contributions to the nation. Dalianidis is a Lovemark for the witty and aesthetically beautiful films he gave us so magnanimously. He worked against many obstacles and time. He uplifted the Greek nation from the marasmus of the post war days. The entirety of his ideology asks us to maintain an optimistic disposition on life. Adieu Yiannis Dalianidis, and may the ground that covers you forever be light. You live in my heart forever. Lights , camera , action . . .
Last month I was in Israel to celebrate the 25th anniversary of BBR Saatchi & Saatchi at the Peres Center for Peace. BBR has been on a tear in recent years, including a recent rebranding campaign for Kosovo entitled The Young Europeans. They’re also behind one of the most ambitious projects to come out of a creative organization: The Impossible Brief. the belief that creativity can be a powerful force for positive social change. And if any cause needs a jolt of creative thinking, it’s the ongoing Israel/Palestine conflict. Beyond a doubt the most memorable episode of the visit was my meeting with the President of Israel and Nobel Peace Prize winner Shimon Peres. We discussed the future of the Jewish State, Israel’s image in the world, and the phenomenal innovation in the Israeli economy. 1. Leaders must not be afraid of being alone. 2. They must have the courage to be afraid. 4. A leader must pioneer, not rule. 5. A leader is not on the top of his people but ahead of them in front. 6. Leadership is extremely hard work. 7. When you have chosen a destiny . . . never give up. 8. Leadership is based on a moral call. 9. What is right today is different tomorrow. 10. It’s not enough to be up to date; you have to be up to tomorrow. 11. To lead is to listen, to pay attention to every detail, to decide. 12. Everything that once was controversial ultimately becomes popular. These are the lessons of a lifetime of service. Tattoo the list to the backs of your eyelids. Overall, the trip was a revelation. BBR Saatchi & Saatchi has reached No.2 in the Agency of the Year rankings in Israel, and throughout the agency and across the country I found energy and inspiration wherever I went. The nation is constantly in the grip of crisis and yet it continues to flourish, not least due to the moral leadership of President Peres. I’m looking forward to a trip back there soon. For my fellow New York-based rugby nuts (and I know you’re out there), I’m hosting a rugby fundraiser at Saatchi & Saatchi this Thursday night, 11 November. The event will feature my friends former All Blacks Michael Jones and Frano Botica and New Zealand Rugby League legend Tawera Nikau. The proceeds will help send two rugby players from New York City public high schools to New Zealand to study and play rugby in 2011, year of the Rugby World Cup. The money will also support two player/coach exchanges between the US and New Zealand. The scholarships have been created by Auckland’s AUT University and Friends of AUT and funds raised from the event will directly support the scholarships. AUT University is active in USA rugby and has been developing a network with various American universities to offer students exchange opportunities between New Zealand and the USA. I’ve been looking forward to the event, and particularly to seeing Michael, Frano and Tawera. New Zealand has produced several world top 10 openside flankers – Ian Kirkpatrick, Graham Mourie, Michael Jones, and Richie McCaw included. Michael has achieved great things academically, for his Samoan people, and for the game of rugby. Frano and I played the same position, first Five-eight, he was prolific, rugged, competitive and between 1985 and 1998 played for North Harbour, NZ Maoria, NZ Sevens, the All Blacks, Wigan, the Kiwis, the Warriors, Llanelli and even Croatia for the World Cup! Tawera Nikau is an inspirational leader. He had an all-star career in New Zealand, Australian and UK Rugby League including eight years in the Kiwis. In 2003, he lost his right leg in a motorcycle accident. For most of us, this would be devastating, but Tawera is an irresistible force of nature. He’s come back and on Sunday he ran the New York City Marathon (6.35). Let that sink in: he ran the New York City Marathon, a feat most grown people with two legs only dream of accomplishing! I’ll be moderating a discussion on “the strengths of rugby as an international model for success.” which will include Frano, Tawera, and Michael among the panelists. There will also be an auction including two round-trip tickets to New Zealand donated by Goway Travel, not to mention New Zealand cuisine, beer and wine. Tickets are still available at http://usarugby.eventbrite.com/, either general entrance or pre-event VIP cocktails where you can also meet the legends and experience a traditional Maori powhiri (welcome). So, if you’re in New York on Thursday and want to see some rugby greats mix it up for a good cause, stop by 375 Hudson Street at 7pm. I just saw a highly emotional film based on the memoir of All Blacks great and my great friend John Kirwan. “JK” was an All Black winger for 96 matches between 1984 and 1994. Despite his enormous success on the field, for years John suffered from crippling depression. In JK’s words, “there’s no reason for it, it just is.” It wasn’t until he sought help from friends, family, and professionals that he was able to battle his illness, and live a full, satisfying life. The memoir is an enlightening and uplifting story about how, even those people who seem to have it all are sometimes secretly dealing with overwhelming adversity. The film version of All Blacks Don’t Cry was made by actor, director, and friend Julian Shaw. It’s a deeply emotional dramatization of John’s struggle, and an effective tool for raising awareness of this serious, and frequently neglected illness. You can stream the film for free at www.allblacksdontcry.com, and I highly recommend that you do. For my New Zealand brethren out there who are suffering from depression or know somebody who is, pay a visit to http://www.depression.org.nz/, and join JK in his effort to spread the word. Over the last decade our understanding of how emotion relates to consumer decision-making has grown enormously. Insights and findings around creating Loyalty Beyond Reason continue to illuminate Lovemarks, most recently from Peter Boatwright and Jonathan Cagan – two professors at Carnegie Mellon University in Pittsburgh. They have released a book with Berrett-Koehler Publishers entitled Built to Love: Creating Products That Captivate Customers. You can instinctively know a high-emotion company because you feel its warmth. It can be anything from an electronic glow like Apple to a big rig designed to drive a payload with tremendous respect and a lot of love to a retailer who knows how to charm your cotton socks. These are all experiences designed specifically to elicit emotion. They build emotion into every interaction with the customer, whether it’s advertising, store design or letterhead. And it shows in reputation. Boatwright and Cagan move this concept forward with their “High-Emotion Index” which compares the stock performance of companies that provide more emotion with those that provide less. They compiled a list of 40 promising, innovative consumer product companies based on rankings from BusinessWeek and Interbrand. Then they surveyed consumers to identify which brands elicited the most powerful emotional response. It turns out that you would have been wise to invest in one of the high-emotion companies Boatwright and Cagan write about. Between 1997 and 2007, over 80% of investors in high-emotion companies did better than the Dow Jones index, the NASDAQ, and the S&P 500. A solid example of the premiums powered by emotional connections. A New Zealand innovation making moves – and which I wrote about last year – is Wools of New Zealand’s sustainable line known as Laneve. Wools of New Zealand is a subsidiary of Wool Partners International, a joint venture headed by my old mates Theresa Gattung and Iain Abercrombie. Laneve is produced from sheep (obviously) farmed according to the highest standards of animal welfare, sustainability, traceability and the environment. Every inch of Laneve is tracked from the time it sprouts from the backs of New Zealand sheep all the way through to the time it’s woven. This inspired focus on sustainability and quality has made Laneve the stuff of Lovemarks from the get-go. In October, Wools of New Zealand played an important role in a joint venture between Starbucks and the Wellington-based design company The Formary. Using Laneve, the Formary has created a new sustainable fabric for upholstering furniture for the coffee giant. It was launched during Wool Week in London recently. “Wojo” was created by combining Laneve with fibre from Starbucks’ jute coffee sacks (70% wool, 30% jute sacks). Furniture made from this innovative material will be featured in Starbucks locations from the UK and Europe to the Middle East and Africa. A nice example of businesses working in harmony to make the world a better place for everyone. Way to go Wojo. Any list of the biggest challenges humanity faces would place energy near the top. Meeting the challenge will require immense creativity, determination, and the help of some of the greatest minds in the world. In order to power the future, we’ll need to create cleaner, cheaper, more dependable sources of energy. For this reason, Saatchi & Saatchi Russia has been working with an inspirational cause called the Global Energy Prize. Introduced in 2002, the Global Energy Prize has been awarded to 22 scientists from countries around the globe. Aimed at spurring groundbreaking research in energy, they award three prizes each year (adding up to almost $1M) for breakthroughs, discoveries and the large-scale achievements in energy science. Candidates are nominated by the greatest thinkers in the field, including Nobel Laureates for physics and chemistry, past recipients of the Global Energy Prize, and winners of the Kyoto, Max Planck, and Wolf prizes. This year’s awards will be given in St. Petersburg in June 2011. As a lead-in to the festivities, the organizers have partnered with The Guardian to collect what readers think are the “world’s toughest questions” in energy. If you’ve got one, stop by The Guardian’s Environment page and submit it. On 3 November, a team of past Global Energy Prize winners and members of the selection committee will tackle your questions and, in the process, jump-start the conversation about this important issue. 1. To what extent is nuclear a safe form of energy (including its production and mining)? 2. How viable is wind power as a clean, alternative energy source? 3. How long does it take to recoup the energy used in the construction of the various non-fossil fuel energy generating systems, including nuclear? 4. What is the single worst consequence of continuing our use of fossil fuels? 5. What is the most dangerous problem that awaits humanity in the next five years? 6. What are the most effective methods of reducing energy consumption? 7. How much of the big "global energy change" is going to rely on new, emerging technologies compared to individual contribution and governmental policies? 8. How far are we on the way to fusion power? 9. When will solar panels be made more efficient so that they can turn more of the sun's energy into electricity? 10. Can the world meet its current and future energy needs without fossil fuels using existing technology? We need innovative energy, and with the help of some of the greatest minds in energy science, the Global Energy Prize is blazing the way.